Dewey Andreas is a former member of Delta Force. As the series begins, he is an oil-rigger who, having worked in some of the most desolate places on the planet, is in charge of day-to-day operations for Capitana, a major oil rig off the coast of Columbia producing nearly 9% of the U.S. oil needs. While hardly able to call himself happy, he is at least somewhat content with his position and is not looking for any change, though change is forced upon him in the first recorded adventure. Happiness is not something that Andreas would expect to get. He had it once, two decades before, when he was a decorated member of the U.S. Rangers, married, with a young son. Then cancer took his little boy and left two parents to grieve in their own way. For Andreas, it came with a chance to push himself even harder than before when an offer to join the Delta Force is presented. For his wife, it came with loneliness and apparent depression. When Andreas returned home one evening to find his wife killed with his handgun, it was undetermined by him if she had been murdered or had taken her own life and used his weapon to show him how his absence and his work was killing her. To an ambitious prosecutor who saw this case as his great stepping stone, it was murder and Andreas was the killer. It took the jury less than an hour to rule the other way, though, and Andreas was a free man and the prosecutor in trouble with the bar. But Andreas had watched those in authority over him in the military abandon him with amazing speed when he was arrested and the idea of staying in the Service was unpleasant. Andreas resigned and disappeared. With no family left, his disappearance was a good one. Andreas is not a man seeking adventures or excitement or danger. He had all that many years before and it turned out to be meaningless to him in the long run. He wants to be left alone. After many years of getting his way, life has forced him back into action. He does not want it but he is still quite good at it. 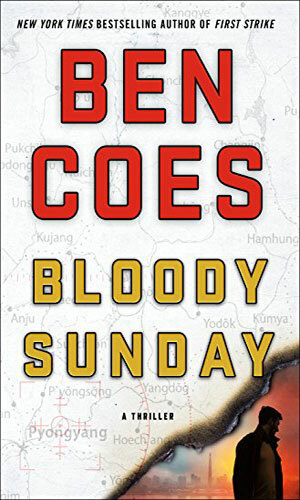 Terrorists attack a major oil rig off the coast of Columbia and a hydroelectric dam in Labrador as the first salvos in a new war against America. Surviving the rig's destruction was Dewey Andreas who wanted revenge against those who killed his men. The shaky government of Pakistan is taken over by a mullah with a hatred for the West. 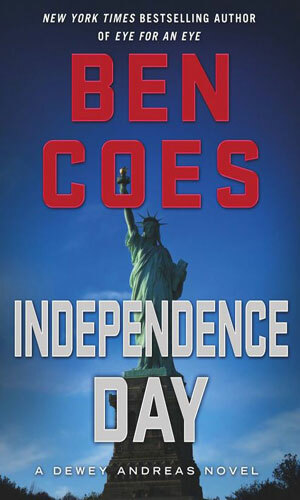 The American government decides a coup is called for and they want Dewey Andreas to spearhead it but he has to survive terrorists out for revenge against him in the outback of Australia. The Israelis show American Dewey Andreas a photo of a nuclear device taken in Iran with the words 'Goodbye Tel Aviv' written on it in Farsi. To repay his debt for saving his life, Andreas agrees to help destroy the weapon before it can destroy Israel. 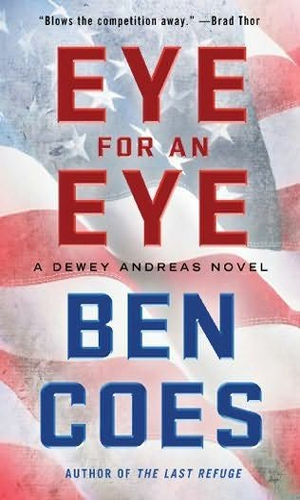 Dewey Andreas is in Argentina with his girl friend, Jessica, the US National Security Advisor, when a Chinese hit team, out to get revenge on Andreas, makes a strike and the collateral damage is extensive and personal. He is now determined to get his own revenge on them and no one is able to slow him down. 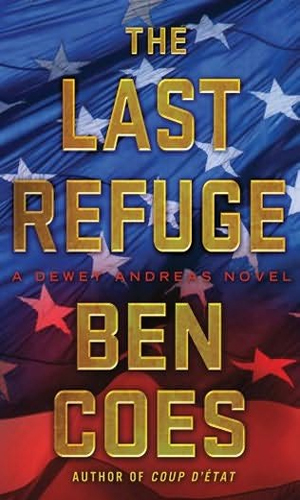 After two missions end badly, Dewey Andreas is less than popular with his bosses. When he learns of a mission to capture a Russian hacker aiding terrorists, he decides to follow and is there when things go terribly wrong. Now he and the hacker's girlfriend are being hunted by very bad people. To protect America, it was felt that putting one man in charge of the Middle East, or at least being the most influential one in that region, was a great idea. Until that man double crosses his backers. Dewey Andreas is sent to Syria to investigate but word of his coming reaches there first. Some of the most powerful people in the country want to become even more powerful and that means replacing those in charge with their own puppets. The Speaker is already dead. The VP and the President are next unless Dewey Andreas can stop them but he is being looked at for the Speaker's murder. 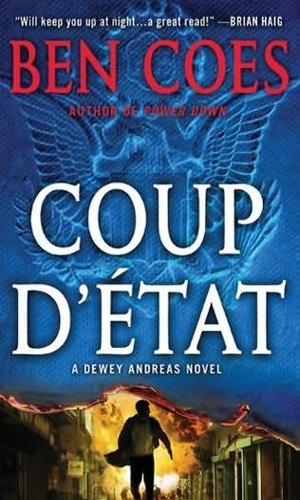 Ready to retire from the CIA and still in shock over some facts which came to light, Dewey Andreas does not want to be the man who finds and ends the plot between North Korea and Iran to trade missiles for fissionable material. Unfortunately, he is the best man to pull it off. This is a very, very good series. 1. Do not pick up the first book without a lot of time available because you will not want to put it down. 2. Do not stand anywhere near Dewey Andreas because that man draws gunfire and mayhem faster than tacks to a magnet. 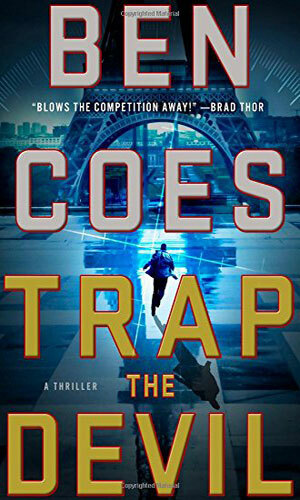 As I prepare to read the third book, I do so assured that it will be as action-packed, exciting, and well-written as the first two and they were terrific. Bad guys are really bad but human and good guys are pretty good but also human and the action is absolutely intense and plots are both over-the-top and totally believable. Mr. Coes has me hooked. Please keep them coming, sir. 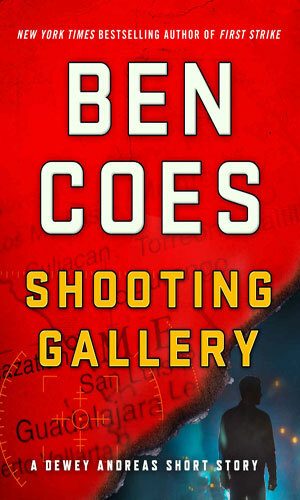 I put Ben Coes books up there at the top with the Vince Flynn's and Brad Thors. 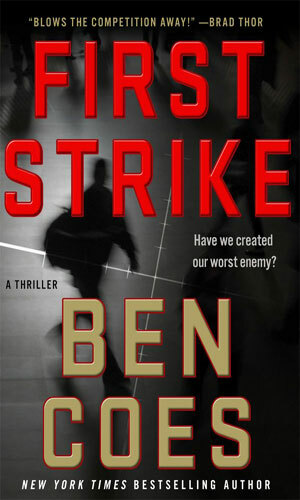 Great books, non stop action that I couldn't put down. I lost sleep reading them. 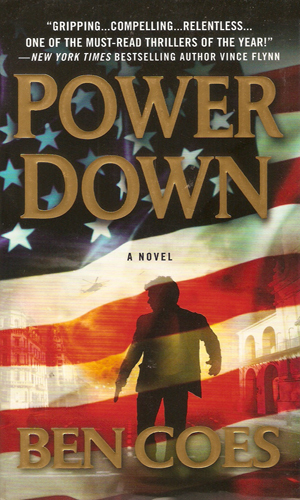 I was fortunate to be an "early adopter" of Ben Coes' Dewey Andreas series by getting an ARC of "Power Down". I'm happy the series has achieved some success. Dewey is a great character.